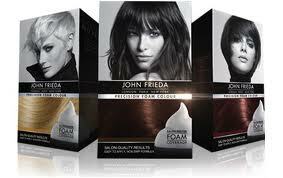 John Frieda Foam Hair Color only $3.99 w/ Coupons, Regularly $11.99! The John Frieda Precision Foam Hair Color coupon is back! This went very fast yesterday, so get it now while you can and you can score a great deal at Target!